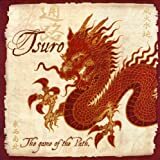 Tsuro is a tile-based board game with an Asian spiritual theme. The goal of the game is to be the last player with a token left in the play area. On their turn, each player selects a tile from their hand and place them on the 6x6 board to build a path that begins at the edge of the board and travels around the interior. You must place a tile and slide your stone along the path created. When your tokens reaches the edge of the board or collides with another player's tokens, you are out of the game. You have to plan your path wisely. The choices you make affect all the journey acros the board. Tsuro is fun, fast, and exciting. It's elegantly designed and easy-to-learn. 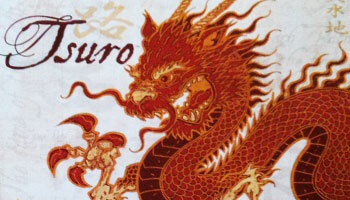 Tsuro of the Seas is a board game for two to eight players. 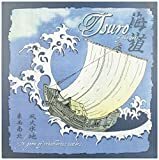 Players sail their ships by placing wake tiles and moving their ships along the routes that begin at the edge of the board and travel through the mystic seas. 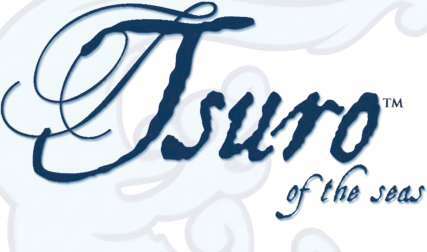 You need to own the Tsuro of the Seas boxed game in order to use these tiles. All the following rules are optional and all players should agree on using them before you begin play. The portal tile is shuffled into the wake deck during game setup.